The Snow Globe is the latest novelty attraction for the entertainment photography world. 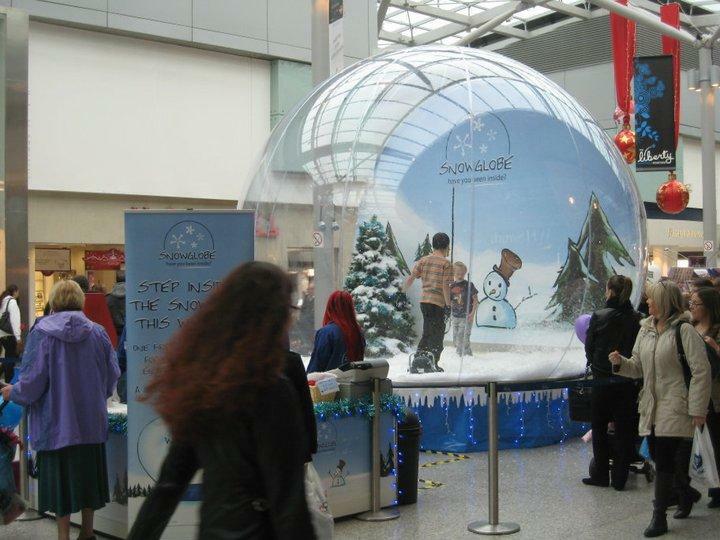 The Snow Globe really draws a crowd and provides a great fun entertainment solution with a tremendous wow effect! It’s great for all year round events and festivals because it can be completely custom branded, while it is especially suited to magical Christmas events. On top of this, the Snow Globe can be used as a unique and interactive marketing and promotional tool to showcase products. The list of applications are endless, from shopping centres, holiday parks, theme parks, zoos or local council attraction, to product launches, road shows, window displays, theatre productions, private events, corporate promotions, parties and weddings! Launched in 2008, the Snow Globe has been a huge hit in shopping centres across the UK, including Winter Wonderland in London’s Hyde Park. Having featured on Dragon’s Den, the Snow Globe now attracts worldwide appeal throughout Europe, America, Asia, Africa and Australia. With all year round appeal, the Snow Globe can be custom branded for the season or promotion – it is completely versatile and can be designed to cater for any occasion. It is an innovative, British made, superior, quality product that delivers a unique marketing opportunity. Other bespoke sizes available on request at additional cost. This option is popular with charities, corporate events, parties, local borough councils, weddings, festivals and private functions. This includes the Mini Snow Globe and fake snow to create a really luxurious feel inside. There will also be two members of staff to install, operate and remove the Snow Globe. Digital Photo Facility – You can add a digital photo facility. This includes one professional photographer for the whole event, with all photos available after the event to view, download and print. People view photos via our website by using a password we give them at the event. There is no limit to the number of photos people can download or print – the facility is free to them. All photos stay on the website for several weeks. You may also add a logo or text to brand each photo to remind people of your event or promotion for free. Print-on-Site Photo Facility – You can also add a print-on-site facility. This includes one professional photographer for the whole event, with up to 100 free prints. Each group that passes through the Snow Globe receives one free print. This option is popular with shopping centres, Christmas parades and festivals. This includes a fully managed standard Snow Globe. It is installed, operated, removed and stored by the Snow Globe team. The staff manage the whole snow globe operation for you over a standard 2 year deal. They provide customer feedback, postcodes and comprehensive annual performance reports. You can add a Training Day and have the Snow Globe team teach clients about installing and operating the Snow Globe, both inside and outside. They will teach you what they have learnt, and how to get the best out of the Snow Globe, so as to achieve a healthy return on investment. You can add a Photography Package which will provide you with everything you need to start taking photos from day 1. This includes a computer, professional dye sub printer, canon camera and all the software, cables and extensions required to get up and running. Snow Globe backdrops and skirts around the base of the Snow Globe may be custom branded for your own event or promotion. In addition, they can supply snow, snow balls, lights, spare zips, print media and many other consumables and cameras at excellent prices. All of the above options work great as corporate entertainment and are perfect for your corporate events. With circumstances causing us to depart from a traditional Christmas Grotto after more than 20 years, we were faced with the challenge of seeking an equally popular alternative to satisfy our customer’s seasonal expectations, and avoid any negative feedback. The Snow Globe fitted the bill exactly, and after a few hours of operation, any fears of complaints about our ‘old’ grotto simply faded away. The operation and popularity of The Snow Globe both fulfilled and exceeded our expectations, and those of our customers, and that’s why The Snow Globe is making a welcome return in 2012. The Liberty sought to deliver something special for our shoppers throughout the Christmas period, but the cost of a credible Santa’s Grotto was not an option. 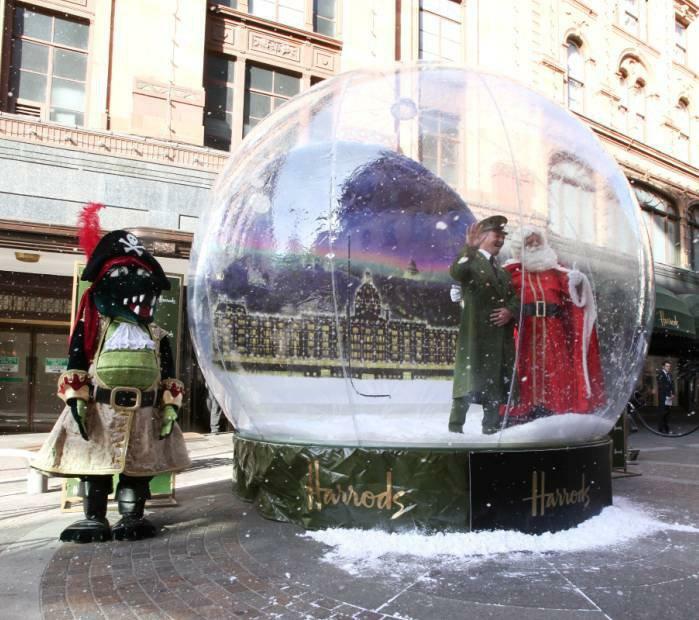 The Snow Globe was introduced to The Liberty Shoppers in Christmas 2009. Although it was a new concept, the Snowglobe was well received by our shoppers and created the ‘WOW’ effect that we desired for the centre. 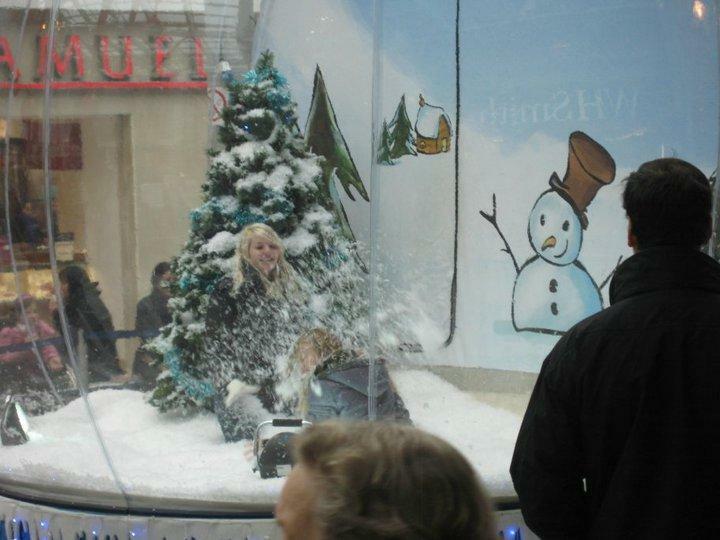 Shoppers commented that the Snowglobe was a fantastic experience and retail staff commented on how great it was, with a number of them having team Christmas photos in the Snow Globe. 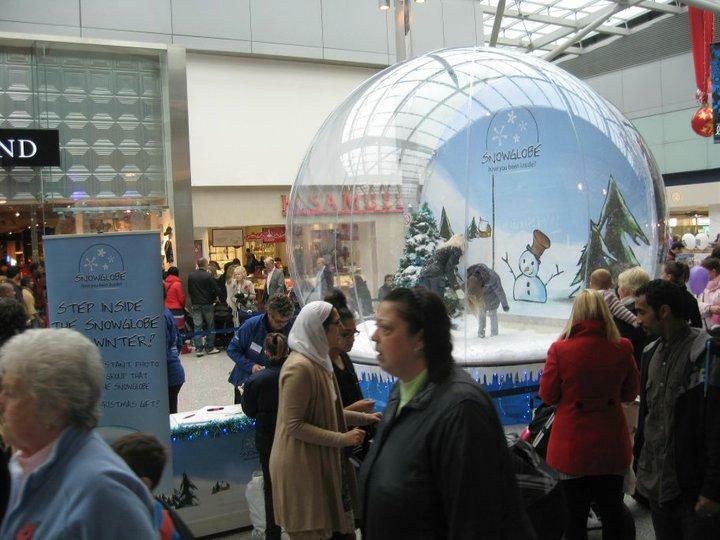 The Snow Globe was a lovely attraction to have in Croydon Town Centre over the Christmas period, the team worked efficiently and required very little guidance or assistance after the first day on site. Having to work within the restrictions for traffic on North End they didn’t complain about not being able to bring their vehicle down till after 6pm, just happily got on with it even in freezing cold conditions. Children and parents loved the novelty of the Snowglobe and the photos made a lovely early Christmas gift. The snow globes were an absolute HIT! We knew that they were going to be popular but they went down an absolute storm and looked amazing in the event space. Thanks so much for all of your help.